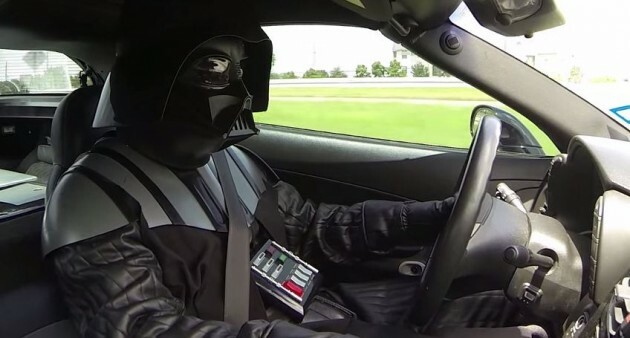 In the weirdest video that we have come across today, Darth Vader gets behind the wheel of a C6 Corvette to take on Chewbacca, who sets his sights on a fourth-generation Camaro and likely does not have a proper driving permit. 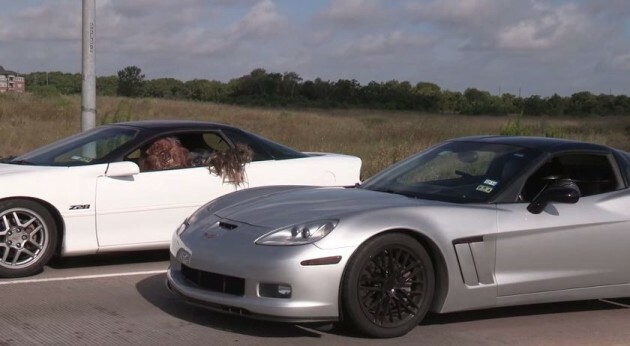 The hilarious “Car Wars” video is meant to promote HP Motorsports, a new auto detailing and service shop somewhere in Katy, Texas, but even as an Ohio-based news organization that will never likely make use of HP’s services, we still found the video to be entirely entertaining. We suppose that after piloting a TIE fighter, driving a C6 Corvette must be a cinch. We are a little surprised, however, that Darth Vader’s C6 Corvette was so, um, not super dark. We were thinking something more like this, but to each his own.